Last year, the pair of LIGO experiments announced a discovery a hundred years in the making: gravitational waves, tiny ripples in space time from a pair of colliding black holes a billion light years away. You might wonder what scientists will do with two giant gravitational wave detectors now that they’ve fulfilled their primary goal. Well, those ripples weren’t the end of the story—they were the start of a whole new saga in astronomy. 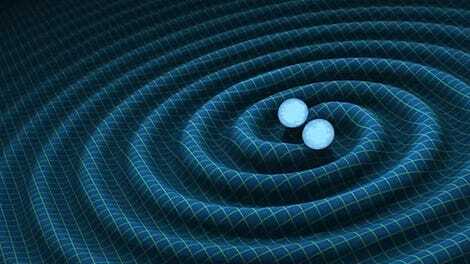 We&apos;ve Found Gravitational Waves. Now What? In the next few weeks, an upgraded version of an experiment very similar to the two LIGO experiments—called Virgo near Pisa, Italy—will go back online. The addition of Virgo will give scientists the ability to pinpoint where in the sky the gravitational waves are located. That detector (and hopefully more detectors to come), combined with observing power of some of the most advanced telescopes, could help astronomers learn about the wildest events that happen in our universe, like black holes colliding with neutron stars. But first, what are gravitational waves and gravitational wave detectors, and how do they work? Over a hundred years go, Albert Einstein penned his theory of general relativity, which included the tenet that gravity can warp the shape of spacetime itself. Observations of Mercury’s orbit, and the way starlight bends around the sun during solar eclipses, proved general relativity early on. But one of the theory’s predictions was that certain gravitational events could send light-speed waves through space, like ripples in a pond. That prediction was impossible to prove at the time, since the size of the spacetime ripples would be a tiny fraction of the diameter of a proton. Eventually, scientists figured out a way to measure the ripples, and built a pair of detectors in Hanford, Washington and Livingston, Louisiana called LIGO, the Laser Interferometer Gravitational-Wave Observatories. Both detectors became operational in 2002. Each experiment consists of a laser beam split in two, sent down four kilometer (2.5 mile) long perpendicular pipes that bounce off mirrors and meet again. A detector compares the beams. If a gravitational wave passes through our planet, one of the lasers moves in and out of phase with the other, creating a telltale wobble. After over a decade without turning up any gravitational waves, the scientists upgraded the sensitivity of both LIGO detectors. They finally measured that wobble for the first time almost immediately after the upgrade was completed, in September of 2015, and announced it last February. 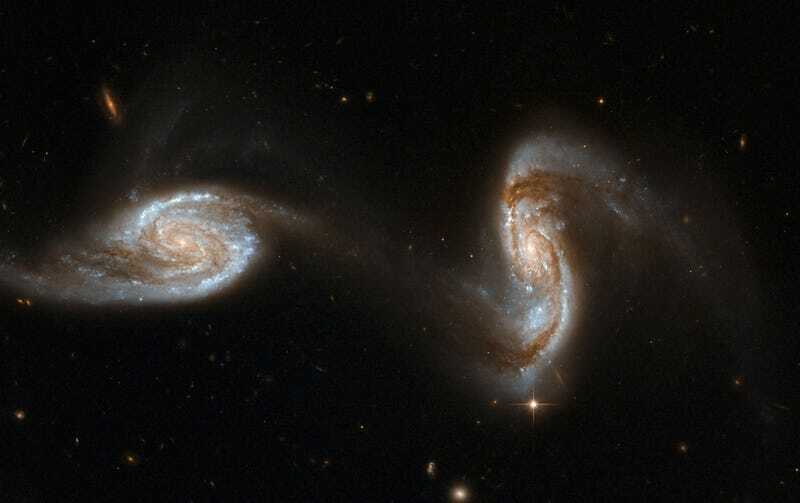 The shape of the wobble told LIGO researchers that over a billion light years away, two black holes 29 and 36 times the mass of our sun had spiraled into each other and collided. Making discoveries requires multiple detectors. One detector measuring a wiggle could imply anything—maybe a truck drove down the road a mile away. But if the two instruments measure the same exact signal almost two thousand miles apart, with a time delay equaling the exact speed of a gravitational wave, then we can say we actually found something. Scientists’ ultimate goal is to see what makes these dang waves, and to study it. The wave information in the two detectors, combined with the time delay, gives scientists an enormous, hundreds of square degrees-ring in the sky to look, but not a precise location. The addition of the Virgo detector will associate gravitational waves with just a pair of points covering only tens of square degrees in the sky, Salvatore Vitale, assistant professor of physics and LIGO research scientist from MIT, told Gizmodo. Think about how you perceive sound with your eyes closed—your two ears can give you a general sense of where a sound came from based on the differing information each ear receives, but you can’t really pinpoint the location until you open your eyes. Physicists have only heard gravitational waves with two detectors. Adding another will allow them to see, too. Virgo isn’t new—it’s been taking data since 2007, but was receiving an upgrade when both LIGO experiments made their first gravitational wave detection. The Advanced Virgo’s inauguration will take place February 20, and it will begin doing science in the next few weeks, according to a Nature report. It’s similar, but not the same as the LIGO detectors; its arms are only three kilometers (almost two miles) long, for example. There are plenty of other benefits to an additional detector. Virgo’s arms are angled differently than each LIGO’s experiments. The original pair of detectors intended to measure waves as soon as possible, explained Vitale, and had parallel arms to maximize the chance of a detection. “They didn’t think about extracting information out of the signal,” he said. The additional offset detector will allow researchers to measure the polarization—simply, the path the wave’s vibrations trace out as it travels—which helps determine how far away the source was, along with other information. Physicists have only heard gravitational waves with two detectors. Adding another will allow them to see, too. With an additional detector, the dozens of observatories who have signed so-called Memoranda of Understanding with the LIGO Scientific Collaboration will be able to actually do something with the data. In 2012, the collaboration approved a process for sharing data with these astronomy partners. When a signal triggers the detectors, scientists around the world receive an automated notification, then meet immediately and do basic sanity checks to ensure there weren’t any glitches. As soon as possible, they send a bulletin to all of the associated observatories, including information like the probability that the event was real, a timestamp and location in the sky, and what kind of event it might have been—for instance, two black holes colliding, or a neutron star colliding with a black hole. It takes around a half hour from detection to release the bulletin, said Vitale, with most of the delay from human activity. The participating telescopes even have access to a platform allowing them to tell each other whether they plan on hunting for the source of the gravitational waves and where they plan to look. That’s when the fun begins, said McEnery. “We jump for joy... Every time we get a trigger people are really excited. You can smell the prospect of finding something really new.” Some telescopes need to realign to look for the source, and must think carefully about whether it’s worth deviating from their schedule to turn toward some strange electromagnetic event in the sky, like a gamma ray burst. The Fermi telescope doesn’t need to worry, since its scope already looks at around 65 percent of the sky simultaneously—the other 35 percent is behind the Earth. “But we do coordinate to check if we saw any gamma rays, have any new sources appeared, is anything unusual happening. We pay special attention to the region of the LIGO location uncertainty area,” the area in the bulletin. These telescopes cover a wide range of electromagnetic wavelengths, from radio wave to gamma rays, allowing scientists to glean all sorts of information about whatever the strange event might be. The electromagnetic signature can provide extra data on the nature of a black hole collision or black hole-neutron star collision—for instance, gamma rays measured around the same time as last February’s discovery suggests that the merging black holes started their lives inside a single, massive star. And it’s not just electromagnetic waves you can combine with gravitational wave data. Other kinds of detectors, like those that measure the tiny, nearly massless neutrino particles, could offer lots of information about the source, explained Stefan Countryman, a Columbia physics graduate student. “There’s all sorts of stuff we can do.” And working with a less popular particle has its perks. “Every time I run a joint analysis of neutrinos and gravitational waves, I might be the first person to see something,” they said.